Possibly will they bring May showers? thank you…ya know what? 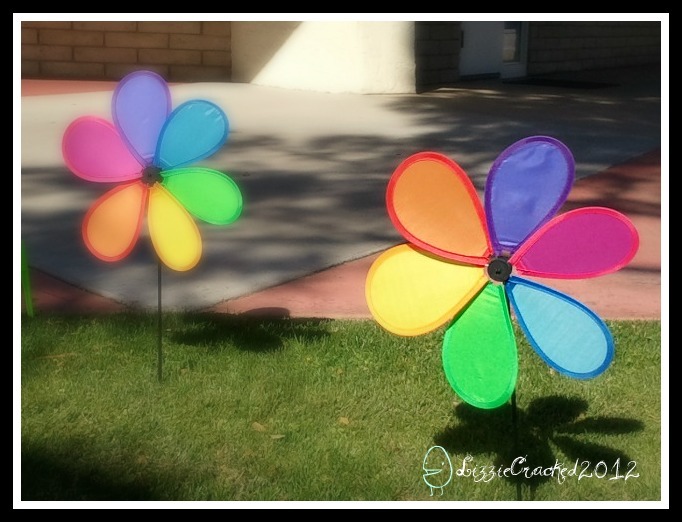 the breeze was blowing and these were actually spinning…. I still love those things. I’m still a kid at heart I guess. Very nice – put me in the mood for a hot cross bun! LOL – oops… I found one last year..thought it tasted weird. silly me I thought it was one of those Harry Potter Jelly beans ….thanks for the heads up I will steer clear this year 😉 Happy Easter to you too..
Love everything about this – the poem, the title, the signature on the photo. but mostly the bright colors on a sunny day. Next Post and a little child shall lead them.. or me at least.